From family fun in the sun to luxury cruises and long-haul flights, TUI – formerly Thomson – offers holidays to suit everyone, no matter the size of your suitcase or wallet. And whether you’re looking to really splash out or stick to a set budget, you can earn money back on your TUI holiday deal thanks to Quidco’s cashback deals and discount codes. Follow our links to the TUI website and get your holiday off to a flying start with our cashback offers. Do you want to know how to make the most of your TUI cashback? Read on to get inspired on how you can start saving! The winter’s coming to an end, the days are getting longer and it’s city-break season. Spend a weekend this spring exploring one of the world’s top destinations with TUI. The online travel agent offers great deals on flights and hotels in tons of destinations, far and wide. 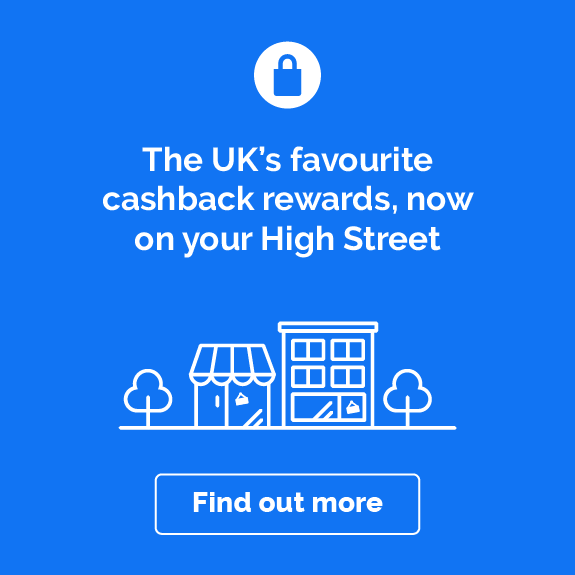 Take advantage even further by following the links from this page to the TUI site so you can earn cashback on your weekend trips. Whether you’re after culture, a unique shopping experience, or just some time to sit back in a restaurant to enjoy some local cuisine and drinks, you’ll find something perfect with TUI. The online travel operator specialises in long-haul flights to destinations further afield than Europe. This year, why not try your luck in Las Vegas? This teeming city is full of fun, with attractions for everyone, no matter what age. A group of friends can hit the casinos until the early hours of the morning. If that’s not for you, there are loads of family attractions and delicious fine dining experience on offer. If you want to get out of the city for a day, you can visit one of the wonders of the world — the Grand Canyon. TUI are currently offering great prices on flights and hotels for Vegas. For something different, consider taking a trip to Reykjavik with TUI. The Icelandic capital is a surprisingly hipster city, where you delve into Iceland’s mesmerising local culture. A short break with TUI to Reykjavik also comes with a northern lights spotting trip and a Golden Circle tour, where you’ll experience breathtaking views of waterfalls and geysers. For accomodation, TUI recommend the FossHotel Reykjavik, for a perfectly central location. Whether you want to cross the Atlantic, travel deep into the Middle East or go off the beaten track, TUI has got you covered. 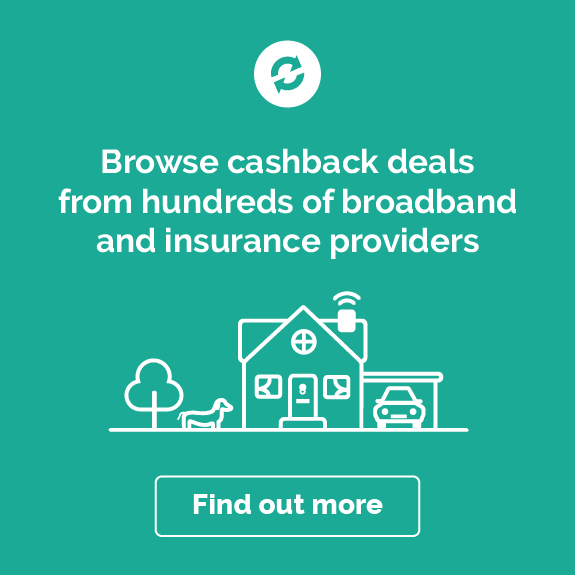 Don’t forget — follow the links from this page to the TUI site so you can get cashback on your purchases. Whether you want to celebrate your love in the sun, or you’re planning a romantic honeymoon the likes of which this world has never seen, head to TUI to organise all of your wedding and honeymoon needs. Set your wedding on a beach or in a grand European venue. Alternatively, have a traditional British wedding, then be whisked away to sun yourself while enjoying your new marital status — all courtesy of TUI. Weddings and honeymoons can get pretty expensive, so book it all through TUI via Quidco’s cashback links so that you can earn cashback on top. Why not go proper Hollywood-style and have your wedding on the beach? Picture this: rows of sea-facing chairs, a wide aisle down which the bride walks, making footprints in the sand. Invite your friends and family to a wedding with the only caveat being ‘no shoes allowed.’ TUI have great deals on flights and accommodation all over the Mediterrean — places like Ibiza and Malta, that offer up a sublime wedding beach setting. If you want to go further afield, TUI can also transport you and guests to sun-soaked tropics such as Cuba and Jamaica. If you don’t like getting your feet sandy, you can still enjoy a wonderful wedding in the sun. TUI offer flights and accommodation in stunning European cities. Say your vows in a 13th-Century Sicilian palazzo, amongst beautiful architecture. Or, make it a chilled one in understated town hall in one of the many harboursides Croatia has to offer. The end of the wedding only means one thing: it’s honeymoon time! It doesn’t matter if you want to spend your honeymoon doing absolutely nothing on a beach (tempting after all the wedding planning), or embark on a thrill-filled adventure holiday, TUI has everything you need, start to finish. For a sunny paradise, you could do a lot worse than taking a trip to St Lucia for your honeymoon. It’s an island that has everything, with luxury resorts, sun-kissed beaches, and a sprawling jungle filled with hikes and adventure activities. For something a little closer to home (and with more affordable flights), head to Italy with TUI. For a bit of glamour, take a trip to the Almafi coast, where you can bask in impressive Medieval architecture, chill on white-sand beaches and dine on the best-of-the-best Italian cuisine. Delicious. Whether you want to have your wedding abroad or be whisked off post wedding for some honeymoon funtimes, book your flights, accommodation and activities with TUI for the perfect experience. Remember that if you follow the Quidco cashback links you can earn money back on your holiday. That extra money can do wonders when put towards fun things to do on your holiday, or even that new marital home. You’ll probably know TUI best by the name it went by until recently, Thomson. The UK’s largest travel company, with over 600 high-street agencies in the UK and Ireland, it’s been going strong since 1965 and has long offered a trusted way to book your holidays. Thomson has been part of the large TUI leisure, travel and tourism group for a while, and its name change goes hand in hand with big developments in their online offerings. Take a look at TUI’s website and discover for yourself a whole world of holidays from top-notch package deals to all-inclusive cruises and tailor-made experiences. Choosing your holiday and getting it all sorted can sometimes leave you feeling like you need a holiday to recover. At TUI, excellent customer service is always part of your holiday package. And you can be confident that, thanks to decades of experience with worldwide travel, TUI agents will guide you expertly through every part of the process to help you make your holiday dreams become a reality. There’s even a 24-hour HolidayLine, so you can contact the TUI experts if you need to while you’re away. Check out the details of the holidays on the TUI website; many are ATOL protected, giving you even more peace of mind. For five years in a row, TUI airlines has won World’s Best Leisure Airline at the World Airline Awards. So if you want to experience flying with the Oscar-winners of the holiday industry, take a look at the range of flights TUI offers. And it’s not just about on-board excellence, TUI airlines jets off from 22 UK airports to more than 80 destinations around the world, giving you convenient check-in and touch-down options, too. Whether you’re flying short- or long-haul, on your own or with family, there’s a tick-list of TUI flight extras to help your journey go smoothly, from extra legroom and seat selection to kids’ channels and extra baggage allowance for your little ones. Picturing a secluded villa with a pool? What about an exclusive boutique hotel or a cosy ski lodge? If you’ve got an image of your perfect holiday accommodation in mind, chances are you’ll find it with TUI. As you’d expect, TUI has a huge selection of approved hotels to explore on the TUI website, where you can filter your choices by board type, ratings, facilities, style of holiday and price. There are also specialist sections for lakes and mountains, city breaks, family and beach holidays, so it’s easy to browse if you’re looking for inspiration. If great facilities, convenience and value for money are all at the top of your holiday wish list, check out TUI’s extensive range of all-inclusive breaks, where dining, entertainment and activities are all part of the package. TUI has created all-inclusive resorts with all sorts of holidaymakers in mind, so your holiday experience is all about you from the moment you arrive. TUI Family Life is fabulous for getaways with kids, TUI Sensimar is all about the grown-ups, TUI Sensatori sits at the luxury end of the spectrum and TUI Magic Life is all-inclusive with added sparkle – think beachfront locations, top activities and dazzling entertainment. Sail away and discover over 120 destinations worldwide with TUI’s Marella cruise line. TUI cruises are all-inclusive as standard and no matter which ship you sail with, you won’t have to worry about tips and service charges on top, so you can truly relax. TUI’s Discovery fleet, and its newest and largest addition, the Marella Explorer, gives you the ultimate in cruise experiences with a whole city’s worth of entertainment on board. TUI cruises offer flexibility, too; you can go cruise only, UK ports or cruise-and-stay options. Whichever cruise you choose, create an even more memorable holiday with guided shore excursions with everything from theatre trips and wine tasting to extreme sports and historic tours. Organising your holiday can leave you with a to-do list as long as your arm. Book through TUI and you can get all those important little extras sorted in one place, so you can breathe easy from the moment you set off to the moment you get home. TUI travel insurance packages are as tailored as their holidays, offering individual, couples’ and group cover for anything from a weekend city break to a year of worldwide adventures. TUI also has great travel-money options with no commission and a competitive exchange rate – you can order online and collect in store or choose home delivery. Check out the extras section on the TUI website for everything from car rental and airport parking to flight upgrades and attraction tickets. When it comes to searching for your holiday online, most travel websites ask you to be quite specific about where and when you want to go. But TUI makes it easy to browse, navigate and discover the best deals to suit your needs. You can start with departure airport and dates, then filter according to holiday type, price or ratings. All the pictures and info you need are listed up front, and it’s simple to create a shortlist while you’re browsing. You can also choose flexible dates if grabbing a great deal is your top priority. Or browse the multi-centre section if you like the idea of designing a holiday truly focused on you. Get the TUI app to manage your booking with ease. It’s easy to earn cashback when you book with TUI. Here are five ideas to get you started. Had a tough week at work? Want to surprise the love of your life? Take the guess work out of last minute with TUI’s late deals. Whatever the reason you’re cutting it fine, you’ll have a great choice of last-minute holidays on the TUI website offering top value and the peace of mind that you’re booking with a reputable British travel company. Add the last-minute page to your bookmarks now and get ready to escape. As the date you’ll be jetting off on holiday gets closer, your thoughts might turn to how you can make your getaway even more of a treat for you and your family. Click through to the TUI extras section and you’ll find plenty of ways to level-up your flight and holiday. Stretch out by booking a seat with extra leg room. Upgrade to TUI Premium Club to get lounge access, priority boarding, comfier seats and complimentary drinks. Going away with the whole tribe is a big deal and TUI has loads of ways to make sure your next family holiday is extra special. Use TUI’s handy free kids’ place finder to see the full range of holidays with free child places. Take your pick from TUI’s Family Life all-inclusive packages, so your whole family’s food, fun and free-time are taken care of and you can put your feet up. Check out TUI’s special Disney World deals and make that dream family trip to Florida a reality. Whether you’d love to get out and explore the great outdoors for the day, head into the city on a guided tour or start the adrenaline pumping on an adventure trip, TUI excursions are the perfect way to tailor make your holiday. 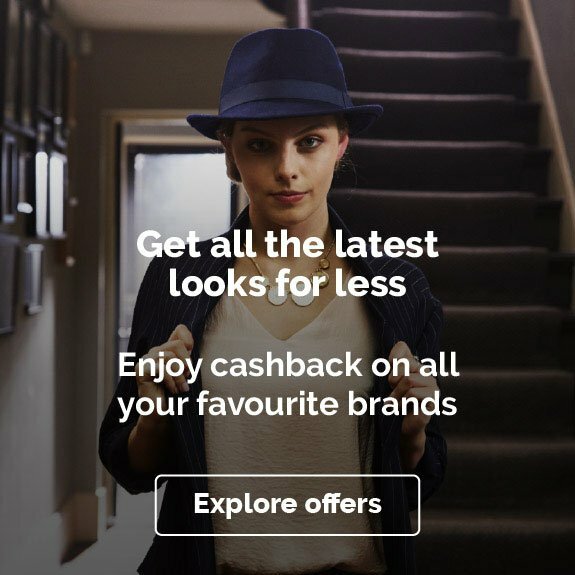 And when you click through to pre-book your activities, the cashback you’ll earn means even more money to spend on things to do and see while you’re away. Head over to the TUI planner to take a look at the range of activities and excursions on offer in top destinations all over the world. When you’ve planned your holiday to perfection, protecting it with travel insurance makes sense. TUI travel insurance is underwritten by AXA Insurance, so you’ll get the benefit of specialist travel knowledge combined with a trusted insurance provider. You can choose silver, gold or platinum levels of cover to meet your needs for a single trip or multiple annual trips and tailor your insurance to suit an individual, couple, group or family. It’s that extra bit of security to help you look forward to your holiday, worry-free. Looking to book your holiday or sort out those all-important extras with TUI? Here are some common questions and useful answers. Where can I find a TUI travel agent near me? To find your nearest TUI travel agency, or holiday store as they’re known, visit the Shop Finder page on the TUI website. You’ll find a link to it at the bottom of every page. Then simply search using your town or postcode to see a list of your nearest stores, details of opening times and a map pinpointing their locations. If there isn’t a store close by, you can still benefit from TUI’s excellent offers and customer service by shopping with TUI online. Is Thomson now TUI and what does TUI stand for? Before its name change, TUI was known as Thomson. The company has been part of the TUI Group since 2000, but the name change and rebrand happened in 2017. TUI stands for Touristik Union International. How do I check in online with TUI? For TUI flights, you can check in online using the Flight Extras website. You just need your booking reference, lead-passenger surname and date of departure. Once you’ve entered all the info required, your boarding passes will be available to print or collect from one of the options listed. How do I book my seat online with TUI? If you’ve booked certain package deals or you’ve paid to select your seat, you will be able to book online on the Flight Extras page. You can choose a seat with extra legroom or extra space or upgrade to a Premium Club seat. Can I make changes to my TUI holiday after booking? If you booked your holiday on the TUI website, you can log in to your customer account or visit the Manage My Booking page. There, you’ll be able to make a range of alterations, including changing accommodation, adding or removing passengers, upgrading or adding extras or even changing the whole holiday. You'll also be able to check the cost of any amendments before you complete your changes. For certain holiday types, you may need to contact TUI direct. If you booked at a TUI holiday store, you’ll need to go back to that store to make any changes to your booking. 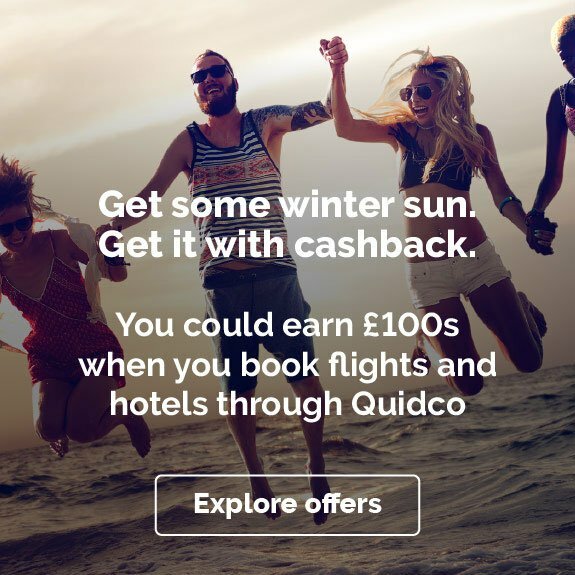 Come rain or shine, you can make big savings on all of your TUI purchases all year around with Quidco’s cashback offers. To find out how you can make the most of your cashback with TUI check out some of the ideas below. Under the name Thomson, their winter holiday deals were unbeatable and this has definitely not changed with their new name, TUI. TUI’s winter deals are as phenomenal as you can expect from a travel company with such a long-standing history. The peak time for finding a bargain on your next winter vacation begins in the January sale, but you can also discover good winter deals well in advance and up until March. The trick is to keep your eyes on the offers pages on TUI’s website and to be a bit more flexible when it comes to the destination and/or the time you want to take your winter holidays. When you have found a great deal on the winter sale section, make sure that you book via the link on Quidco’s website in order to earn cashback on top of your savings! What’s more, we often have great TUI discount codes on our page, so make sure that you check these as well. But remember that your discount code must be published on Quidco in order to receive cashback and a discount. If you’ve had enough of the gloomy British winter weather, it might be just the right time for you to book in some winter sun, and TUI could be the perfect travel company to get you that head start on your summer tan. During the winter sale period, you can make fantastic deals and book a quick getaway for a few days or weeks. The best part is that there are so many different winter sun destinations to choose from in TUI’s catalogue. Whether you are ready to go on a long-haul trip to reach the beautiful beaches of Barbados or Thailand, or maybe you have your eyes set on a couple of beautiful mid-haul destinations for your winter sun getaway – TUI will get you there. You can design your holidays to suit you – choose board type, destination, duration and much more to cater for your needs. Their easy-to-use website lets you set filters in order to find just what you are looking for. And remember, that extra bit of flexibility might get you some amazing bargains. Are you really, really tired of winter weather? Then you have the opportunity to go on a long-stay winter break with TUI. They offer holidays for up to 28 days, and these are also in the winter sale. To find the right winter sun deals it also pays off to frequently check TUI’s website in order to stay on top of the best offers. 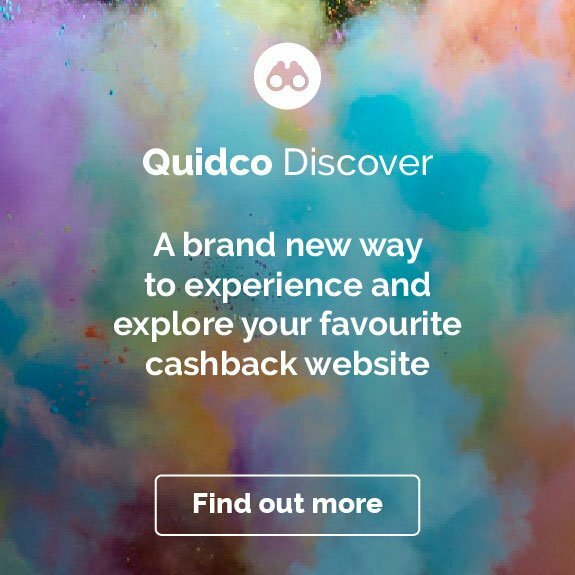 Earning cashback on your next holiday booking is easy thanks to the range of travel retailers you can shop with through Quidco. Check out the offers from another long-standing high-street name, Thomas Cook. Get top deals from long-haul flight specialists, ebookers. Browse a huge number of deals with Expedia and snap up great savings through Booking.com.